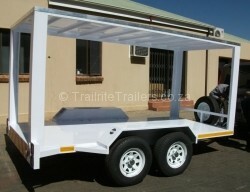 These trailers are used by industry in various means. 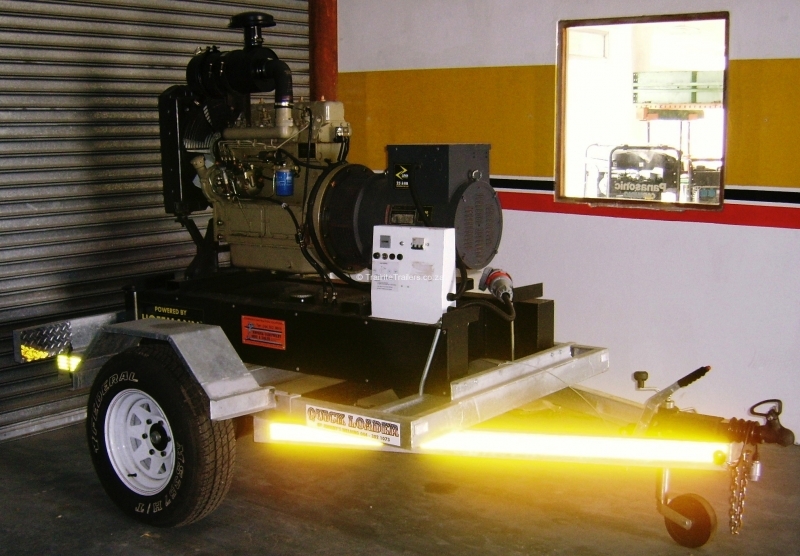 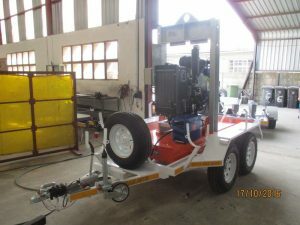 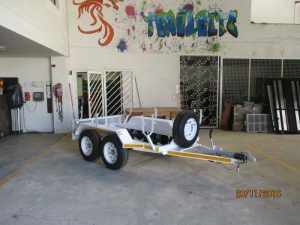 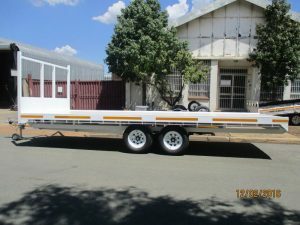 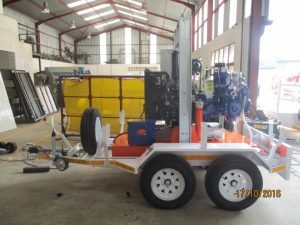 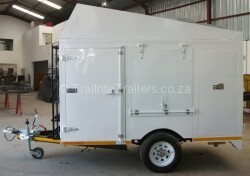 Trailers to mount and transport generators, water tanks, diesel tanks, compressors, pumps, motors, flood lights, earthmoving equipment, fire fighting equipment, ect. 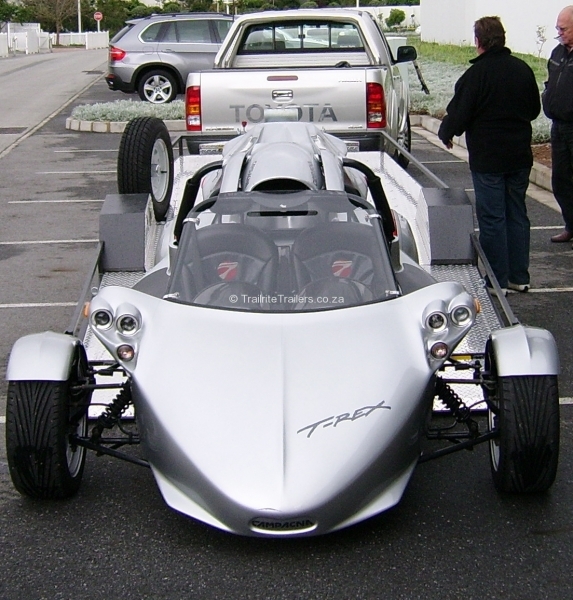 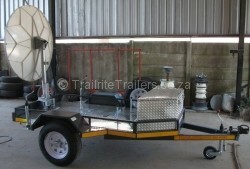 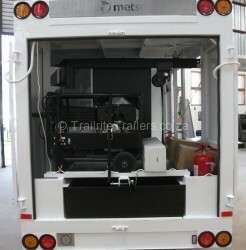 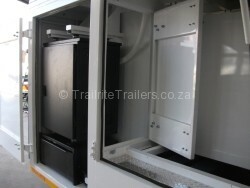 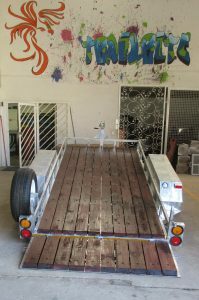 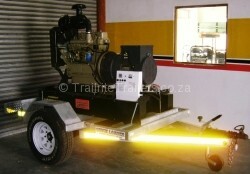 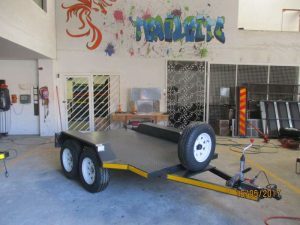 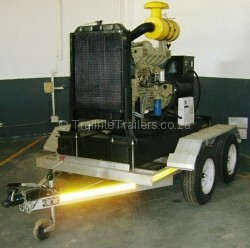 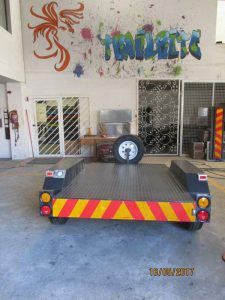 Here follows a couple of examples of Industrial trailers design and manufactured by Trailrite trailers. 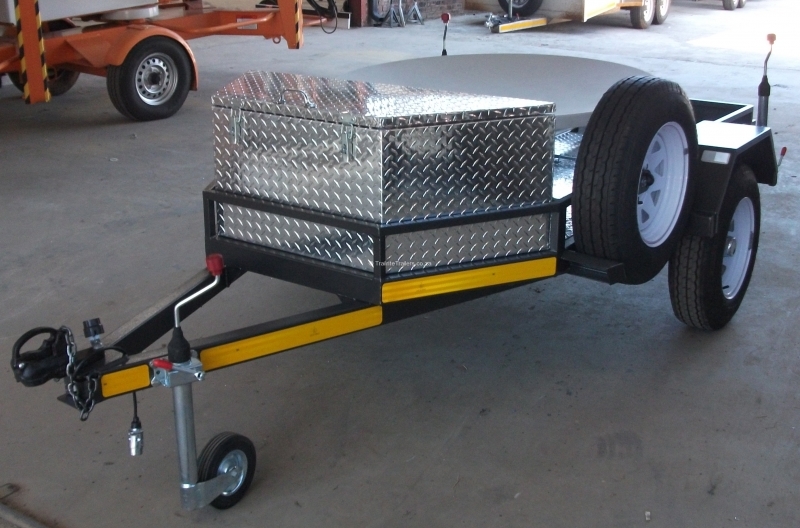 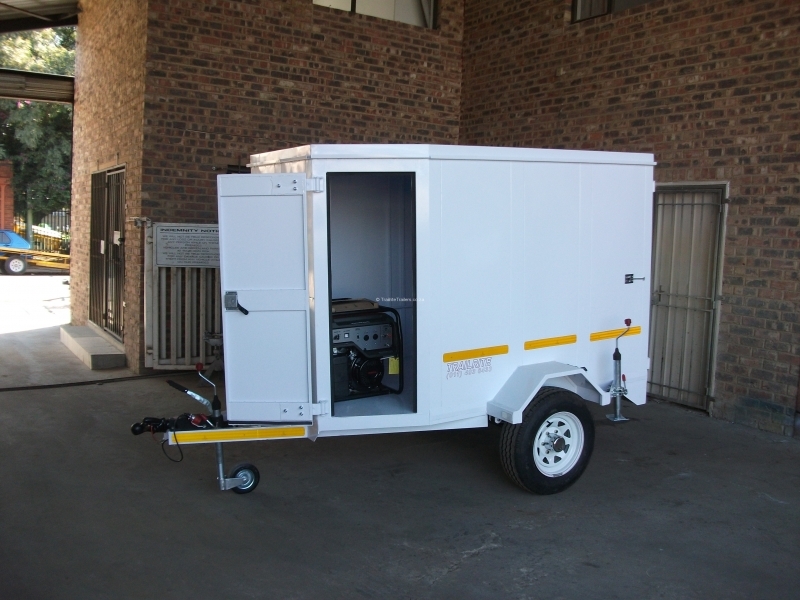 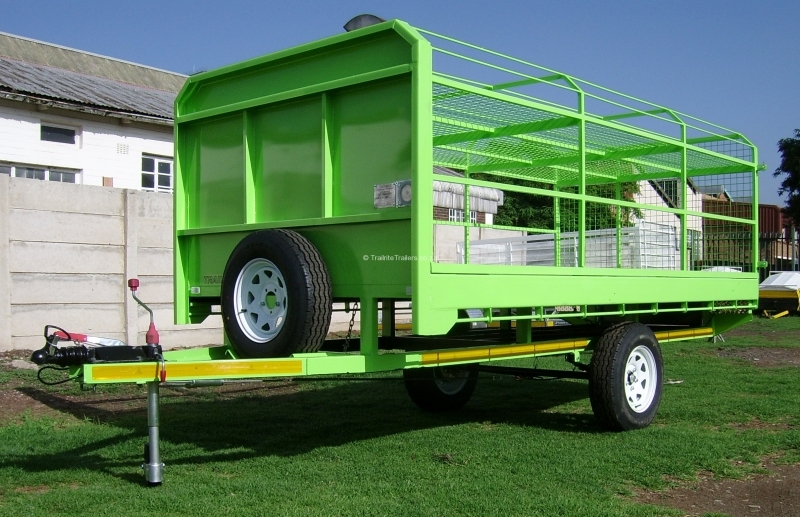 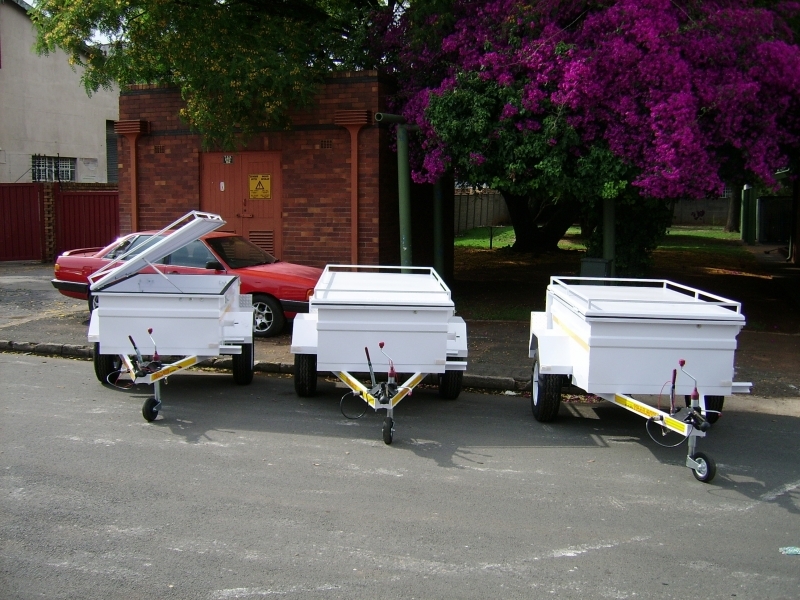 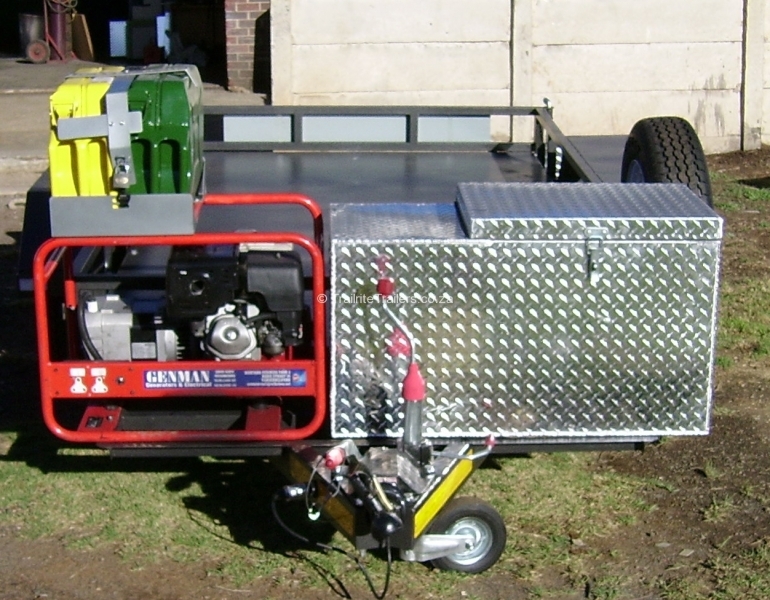 We design and manufacture trailers to transport various size of gensets, up until the weight of 2.5 tons. 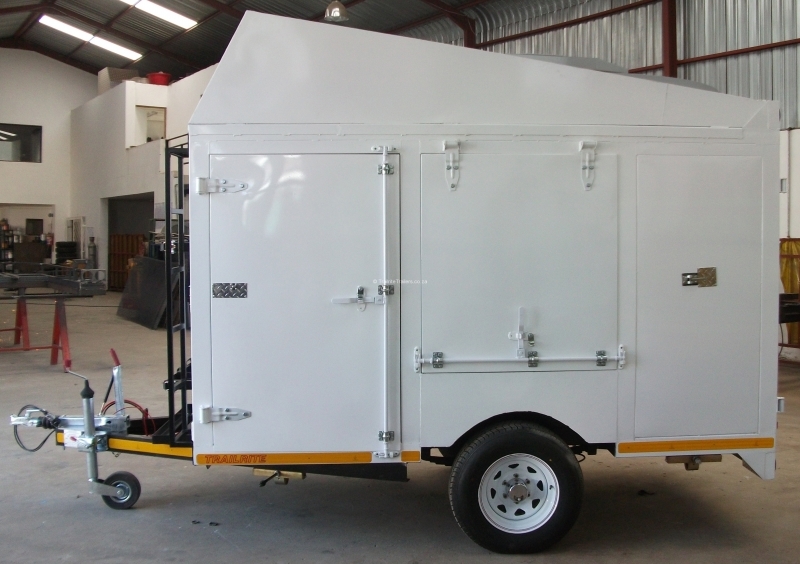 We design and manufacture trailers to transport various size of compressors and air receivers, up until the weight of 2.5 tons. 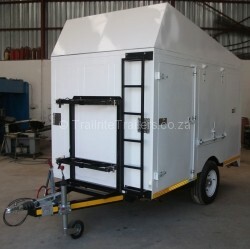 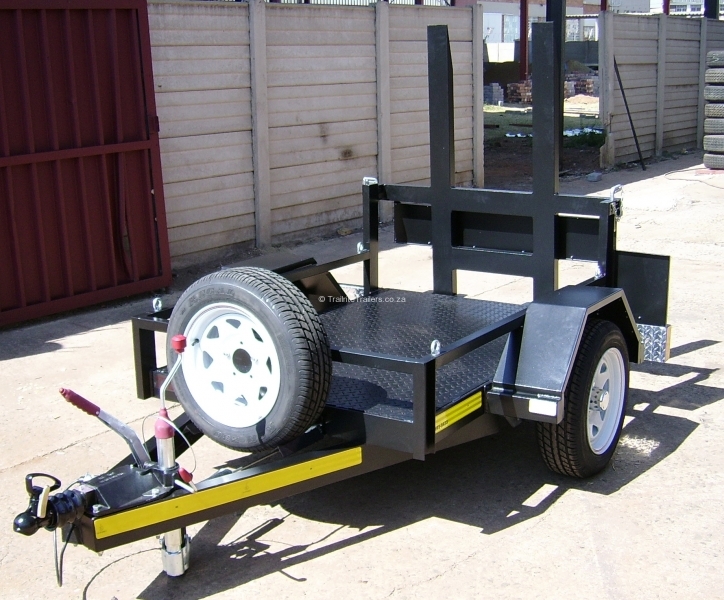 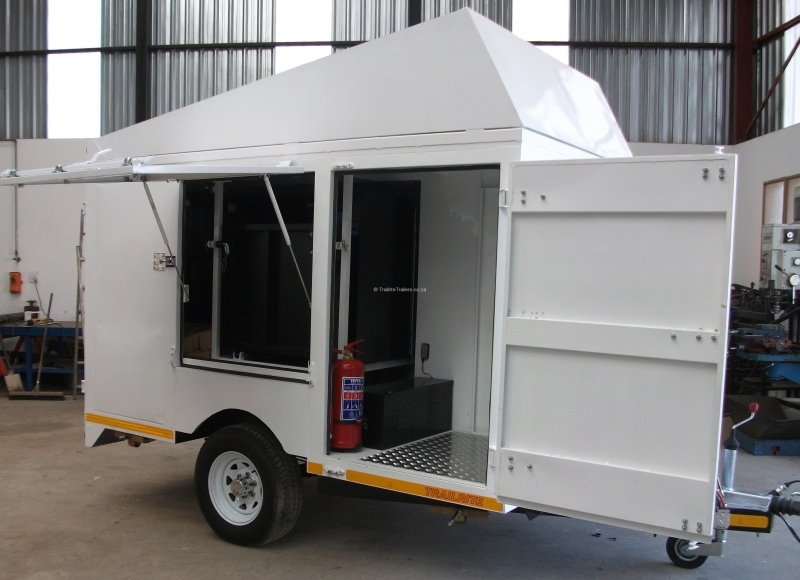 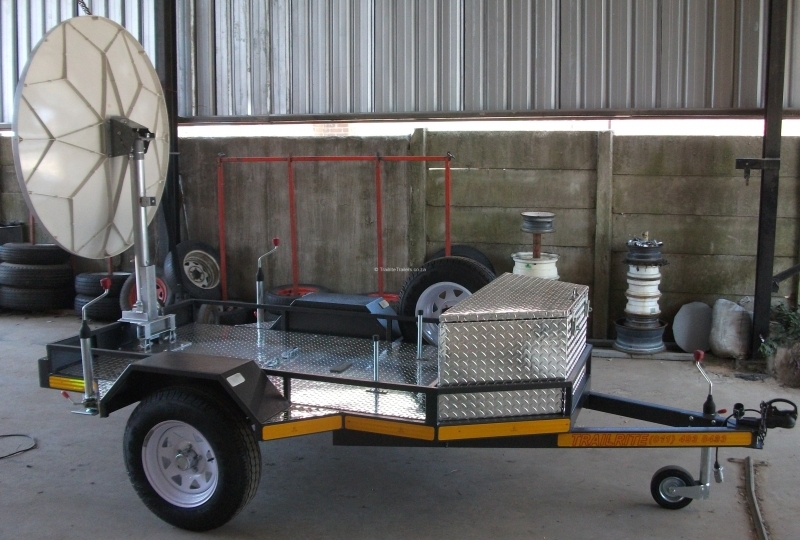 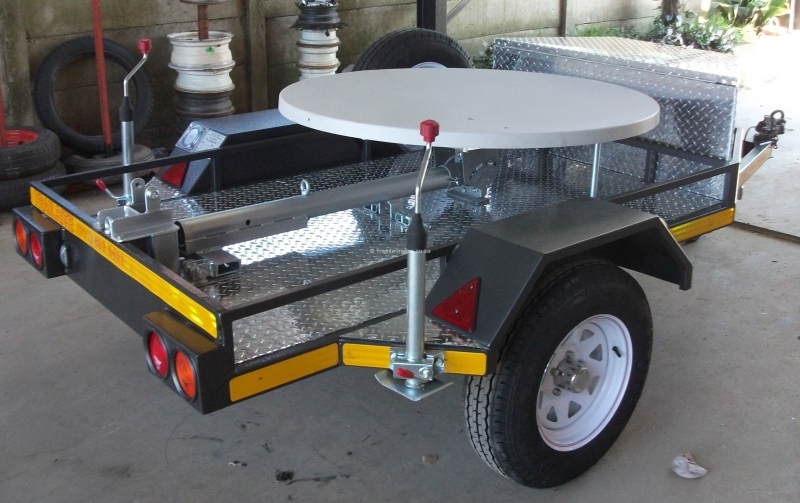 We design and manufacture mobile workshop trailers to your individual needs. 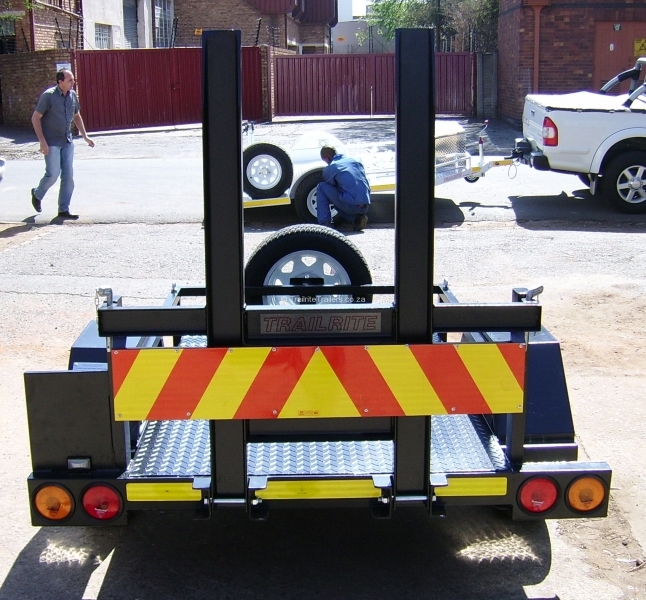 From fitting of mining equipment to onsite tyre repairs. 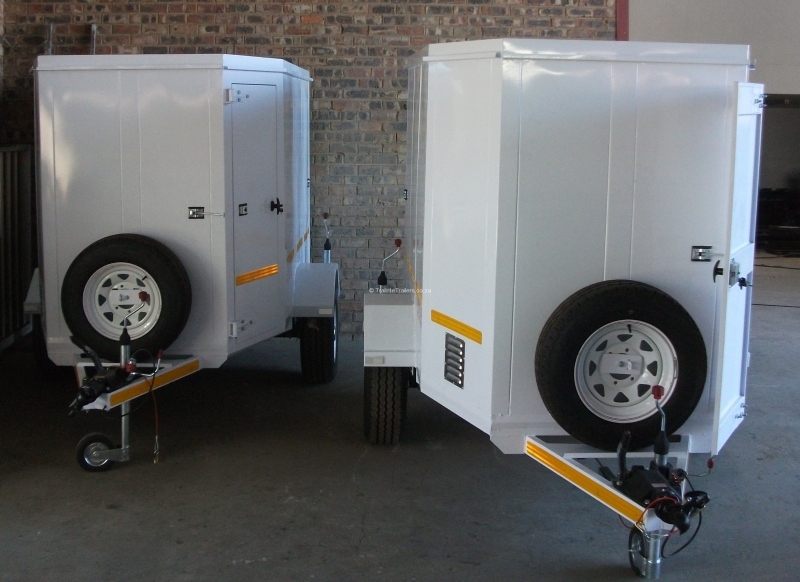 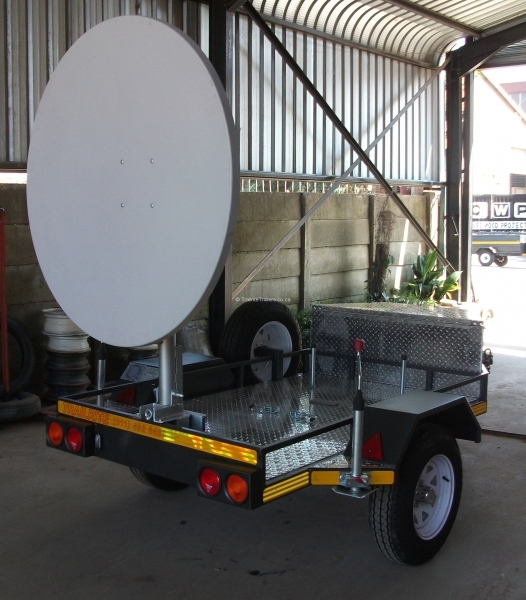 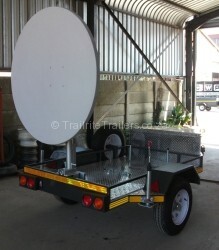 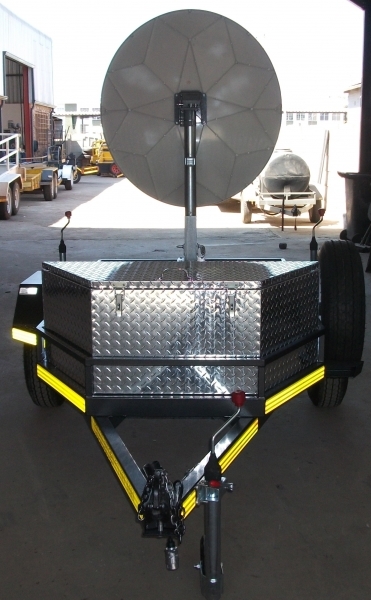 We design and manufacture mobile Communications trailers, using your high-tech and sensitive electronic system. 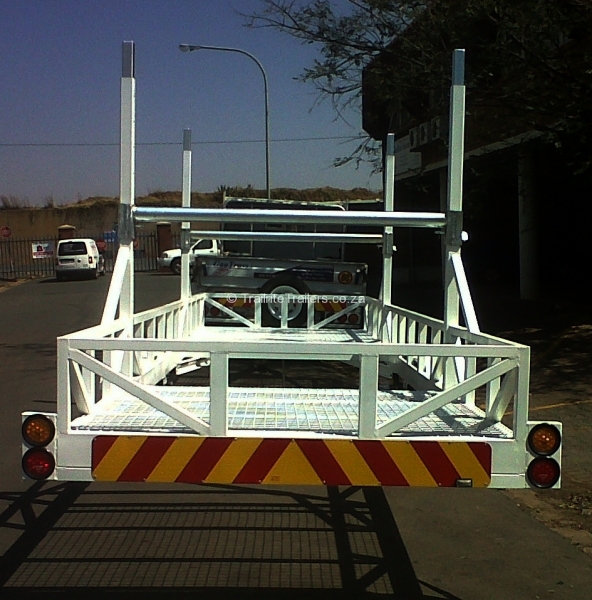 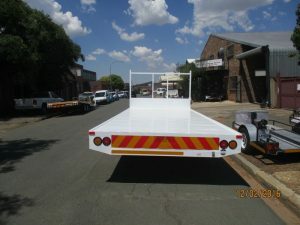 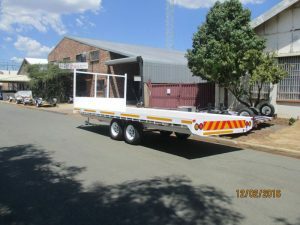 We design and manufacture trailers to transport roof trusses trailers from your factory to site. 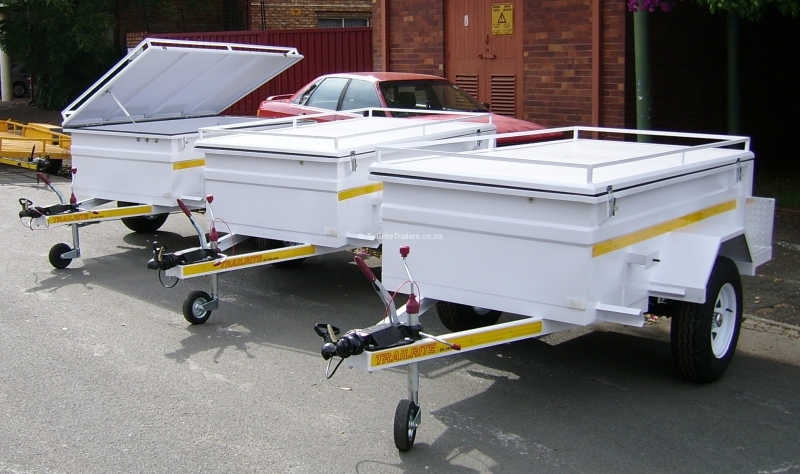 These trailers can help in lowering delivery costs as well as increasing your productivity.